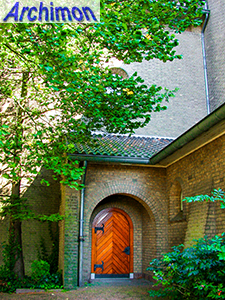 After having lost their church during the Reformation, the catholics of Bunnik had no church until 1718, when the authorities tolerated the construction of a small barn church in the Schoudermantel hamlet south-east of the village. 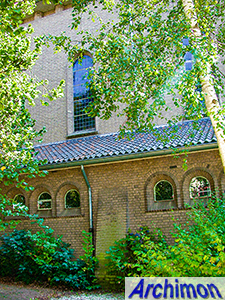 After a failed attempt at restitution of the old church and several provisional repairs between 1819 and 1823, the barn church was replaced by a church in neo-Classical style in 1845, a design of architect W.J. 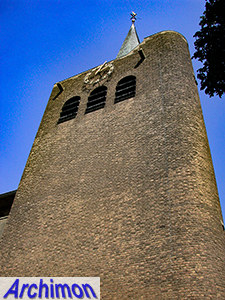 Vogelpoel. 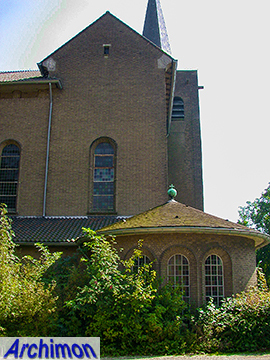 The small church was extended in 1885 with a new choir designed by L.C. 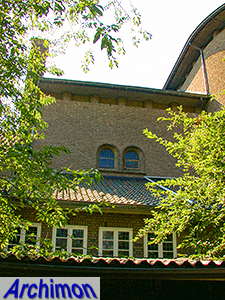 Hezenmans. 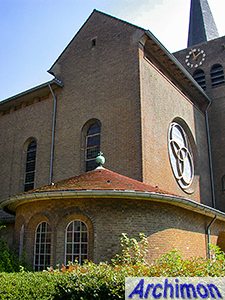 This church was itself replaced when in the late 1930's plans were made to build a new church in the heart of Bunnik itself. 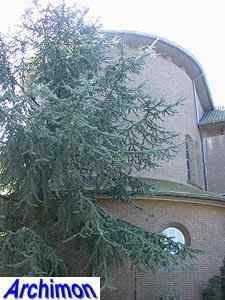 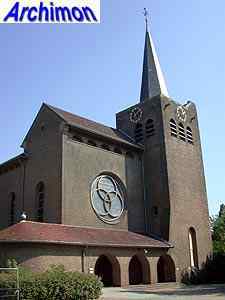 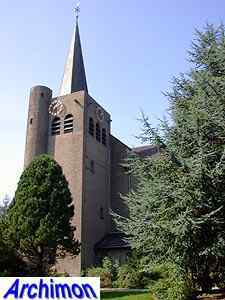 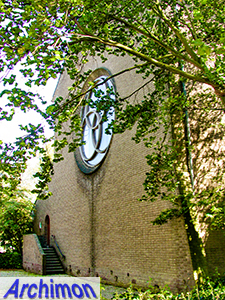 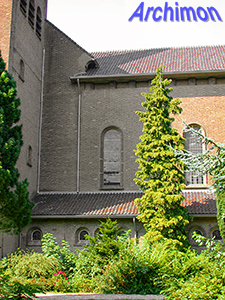 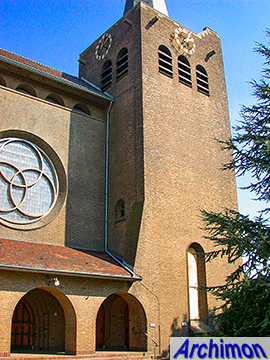 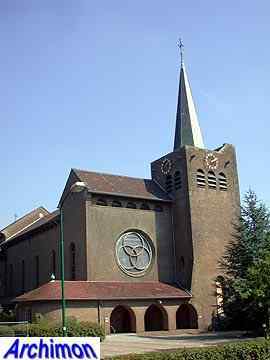 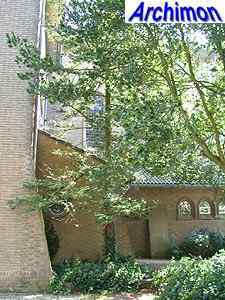 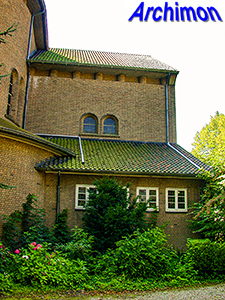 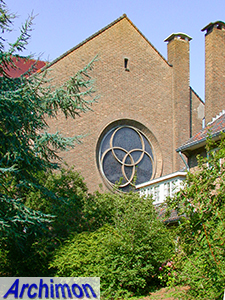 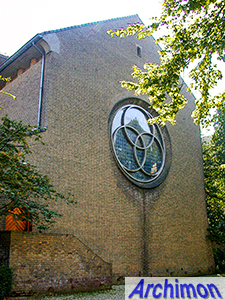 Architect Alphons Boosten from Maastricht was commissioned to design the new church. 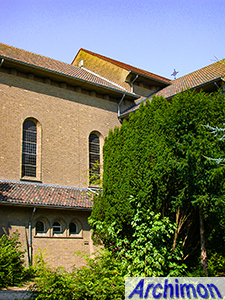 A bit of an odd choice, as the architect was almost exclusively working in the province of Limburg. 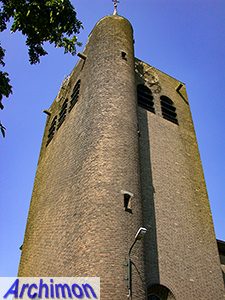 The short tower is in Boosten's usual, robust style. 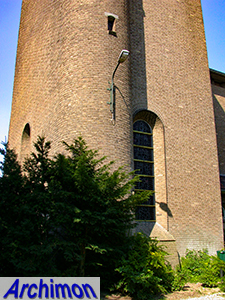 A stair-turret is fluently incorporated in the tower. 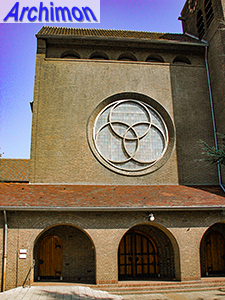 The front of the church reminds of the westworks of some Romanesque churches, and has a big "rose-window" of a type that's also present in the transept's facades. 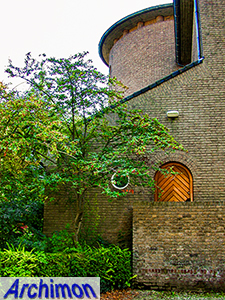 At the front the portal is seamlessly connected to a baptistery. 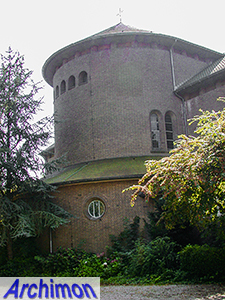 The choir is of a type Boosten often used, with a semi-circular apse with ambulatory and an overall height slightly bigger than that of the nave.